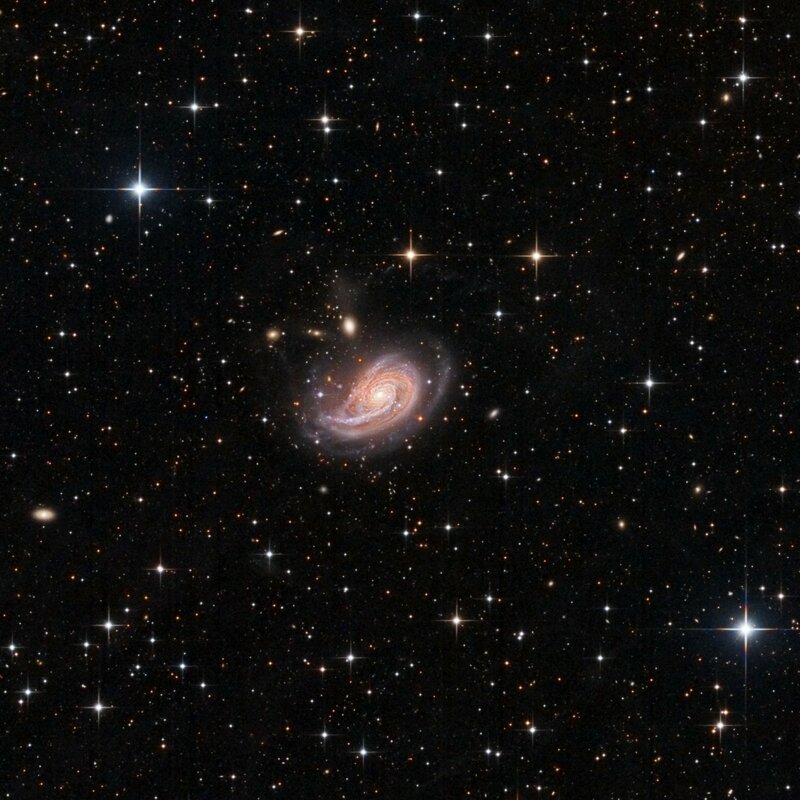 NGC 772 is an unbarred spiral galaxy located in the constellation Aries. It is approximately 130 million light years from Earth. 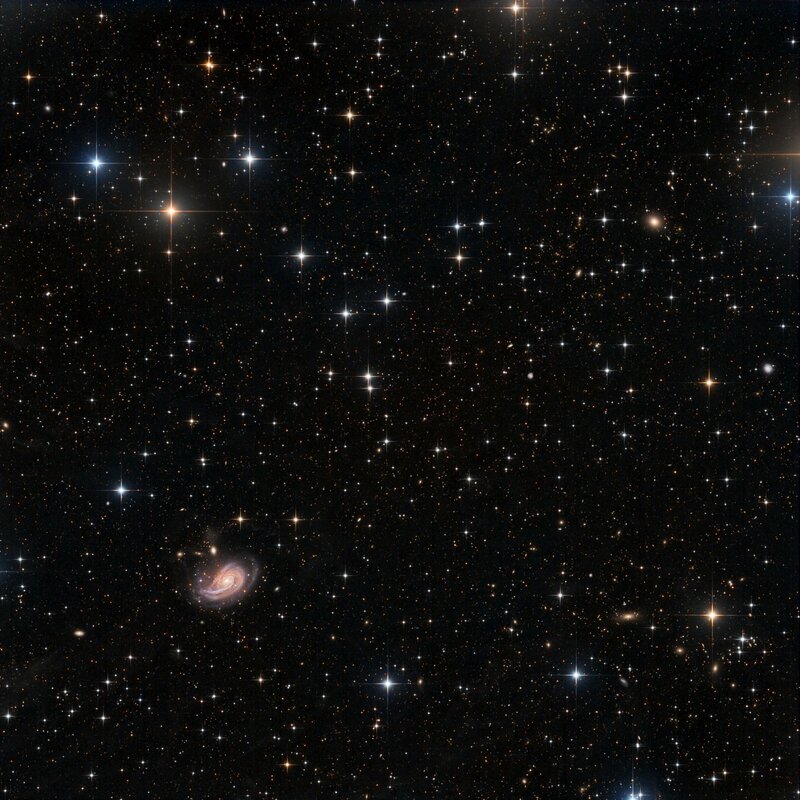 Around 200,000 light years in diameter, NGC 772 is twice the size of our own Milky Way Galaxy, and is surrounded by several satellite galaxies (Arp 78) – including the dwarf elliptical, NGC 770 – whose tidal forces on the larger galaxy have likely caused the emergence of a single elongated outer spiral arm that is much more developed than the other arms, giving it this peculiar shape. Also some star streams show up as faint, wispy arcs of stellar debris.